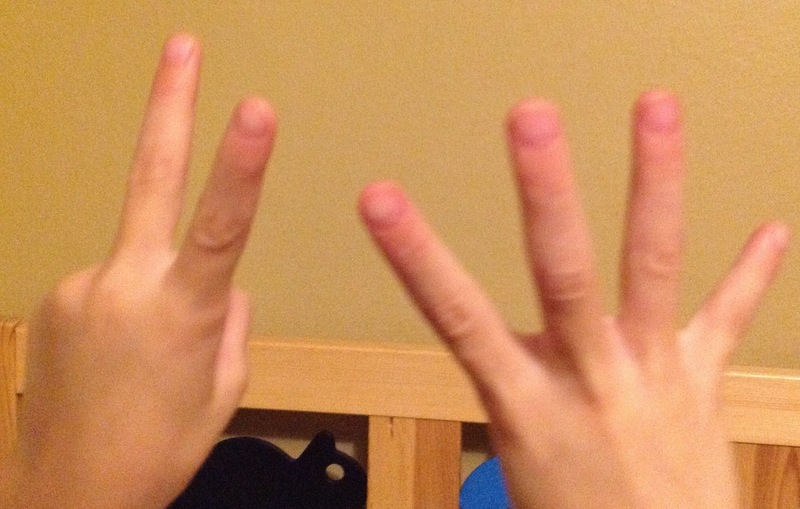 This entry was posted in Number and tagged 6 years old, addition, counting, fingers, learning, number, parents. Bookmark the permalink. Pingback: Talking Math with Your Kids | Let's Play Math! A parent emailed me asking if I could tell her how to use Khan Academy to help her daughter with what we’ve been learning in pre-algebra. I responded I don’t know how to use Khan Academy either, but she can talk about unit rates with her daughter when they get their weekly ads. If potatoes are 4lbs for $2 that’s $.50 per lb. Ask what 5 lbs would be. Or 7 lbs. I also told the mom to ask her daughter to explain the integer stories we’ve done in class with addition and subtraction and multiplication. The more the daughter can explain it, the more she understands it! I hope I did 2 things: got the mom to talk about math with her daughter, and dissuaded use of Khan Academy to “teach” math. I’ll have to wait and see! I am especially fond of thing 1 you did: Give mom strategies for talking with her daughter. There is tremendous need for resources for parents in helping their kids with math homework. This is a different skill from I work on here, which is helping parents support the overall development of their kids’ math minds. But that on-demand support for when it’s homework time? I don’t know what that resource needs to look like. That’s what Sal Khan is providing, in a sense. And if he (and those who fund and adopt his work) stuck to that, I wouldn’t be such a loudmouth about it. It’s the use of Khan Academy as a primary instructional resource, and the portrayal of it as world-class education that I object to. As one of many tutoring resources that kids and parents refer to when they are stuck? I have no issues. Yay for helping that mom talk with her daughter! Thanks for reporting in.